I was caught by surprise! 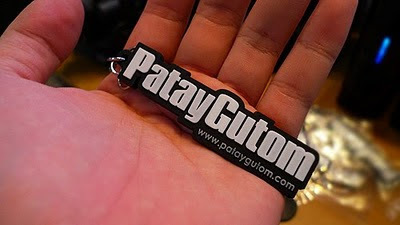 Jehzlau had a Christmas surprise up his sleeve - FREE PatayGutom.com keychains for the first 50 commenters (with a reason that rocks)! Check out PatayGutom.com for details! Hurry! Woooooooot! thanks for sharing about this! di ko pa napapadala yung keychains. OMG! Naku, sorry for the late response jan. I did see you went over and commented. Galing! Cool. And it's worth it too! Hi ReyJR! It's been a while. Finally, it's Christmas vacay for moi. Anyway, that's a nice keychain! Rey! I want a keychain! Cool, thanks! And at the time of my comment there are still nine more! About to Tweet it. Maganda un keychain. Pero dyahe. I've no good reason to trumpet. Pulos kalokohan nalalaman ko these days.